As your business grows, so do the potential risks to your data. Distributed workplaces, remote servers, new staff, and new technologies can all present new, dangerous threats to your sensitive data. Getting a handle on all of the risks to your information can be a daunting task for those who are not prepared to complete a thorough risk assessment. That’s why so many businesses trust Security Maisters for a complete risk assessment and compliance breakdown. In addition, many industries have strict compliance standards that includes the regular monitoring and assessment of risks. Not all risks are alike. Some risks may be calculated and present minimal danger to your information. Other risks may be unplanned and pose an immediate threat to your organization. Identifying risks and evaluating them is the first step in risk assessment and compliance. Security Maisters can measure the threat level of each individual risk. This gives you a clear understanding of the threats and how they affect confidentiality, integrity, and availability. Your existing security measures and controls will also be evaluated to see if major changes need to be made or if small tweaks can ensure a better level of security. 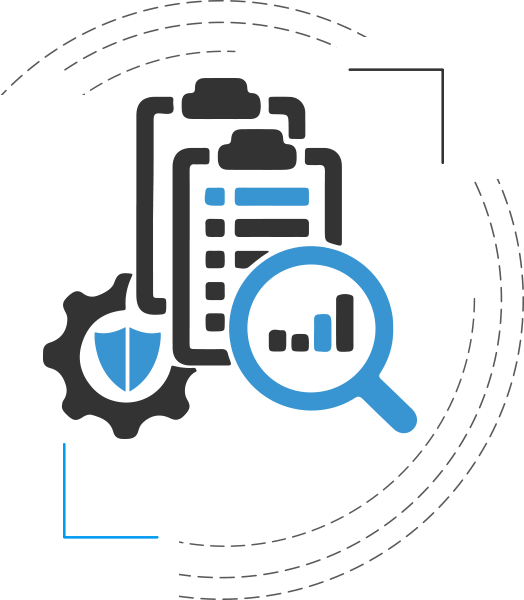 If you operate within a certain industry then security regulations and guidelines like HIPAA, FDIC, GLBA, FFIEC, OCC, etc., will mandate regular security assessments by qualified organizations. Security Maisters can help identify risks and ensure compliance to help your business meet its obligations and standards for security. At Security Maisters, our analysts perform a complete, in-depth analysis of the risks present within your business. First, we gather data on your business to identify key personnel and documentation. Then, we perform asset group analysis, threat analysis, and control analysis to get a better understanding of the specific risks at play and the threats they may invite. Once we complete these reviews, we can begin remediating high-risk areas. We use a lot of data and information in risk assessment and compliance. Helping you understand the final results of our work is one of the most important aspects of what we do. At the conclusion of the analysis, we will provide a detailed risk assessment report that outlines the methods we used to create the report, our detailed risk analysis based on asset groups, and our complete recommendation to improve security and reduce unnecessary risks. Once you have a full understanding of the risks and solutions for your business, we can begin to take action and ensure every risk is mitigated to protect your sensitive data. Many businesses know and understand some of the dangers that could pose a threat to their operations. However, the unknown threats often pose the greatest risk. At Security Maisters, we identify these gaps you may not be aware exist and create a thoughtful plan for addressing risks and reducing the threat to your business. Understand your risks and protect your data with a complete risk assessment from Security Maisters. © 2018 Security Maisters.Co. All rights reserved.